Anyone who promises that you will make mega money completing online surveys is lying! Surveys often pay mere pennies for a lot of work, and you may find yourself completing most of the surveys only to be screened out and not receive any payment. 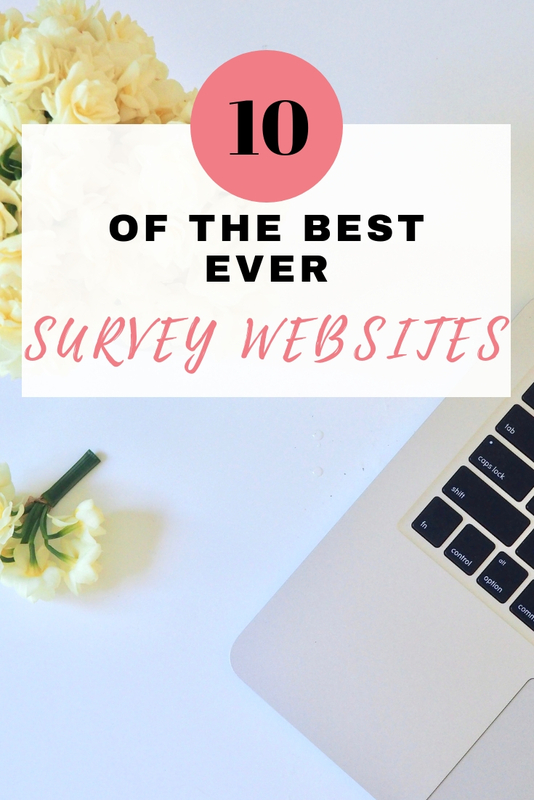 However, there are some good survey websites out there, and if you are going to only join a few, I suggest it is these my personal top 10 survey websites. By far my favourite website of all time, you will never get screened out of a survey. 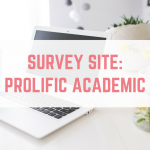 With a payment threshold of just £5 (Paypal fees apply, however there are no fees if you wait until you have reached £20 to cash out) it means that you can get paid quickly from Prolific Academic. The surveys are really interesting to complete too. Swagbucks is another Paid To Click website, with lots of tasks available. One of these tasks is to complete surveys, and on Swagbucks you will never be short of a survey to complete. You can withdraw your Swagbucks in a variety of ways – the most popular being Paypal cash or Amazon gift cards. 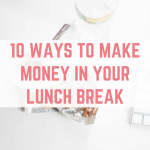 Here are 12 ways to boost your income on Swagbucks12 ways to boost your income on Swagbucks. YouGov are one of the most well known and trusted survey websites, with the results often appearing in official reports. Their payment threshold is 50 points, which equals £50, but the surveys are interesting to complete. There are many ways to earn from the Paid To Click (PTC) website InstaGC, and completing surveys is one of them. You can withdraw your earnings from InstaGC from just £1 in Amazon vouchers. Other gift vouchers on offer include, ASDA, ASOS, B&Q, Groupon, iTunes, Rixty, Skype and Starbucks, in various amounts. My favourite gift card has to be Amazon. Once you redeem, you are given the code instantly and can spend it straight away – there’s no waiting around. It costs the same points per pound to redeem a £1 gift card as it does to redeem a £100 gift card, so there’s no benefit in letting your points accumulate. This means that you can spend your vouchers as soon as you have earned them! If you are bored of lengthy surveys then Onepoll is definitely for you. Not only are the surveys short and sweet to complete (sometimes I have had a one question survey) but OnePoll offer fantastic bonuses along the way. 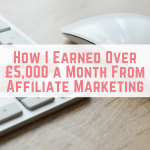 You earn £2.50 for registering, 50p for connecting your Facebook account, 50p once you complete 10 surveys and many more. 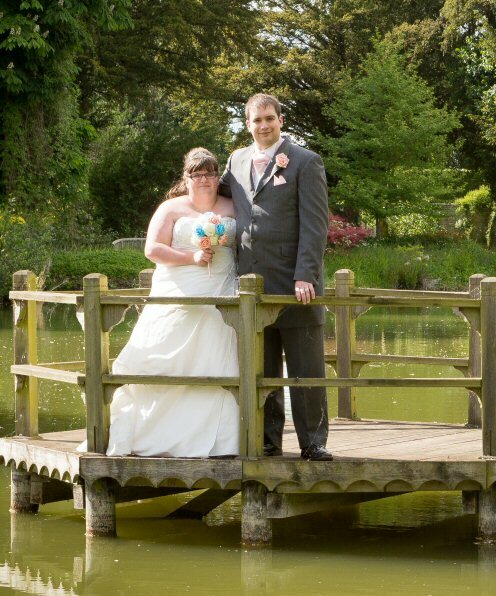 Payout is at £40 via cheque, BACS or Paypal. 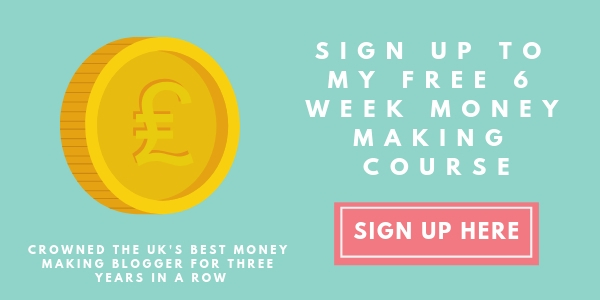 OnePoll also offer a generous referral program, earning you up to £4 for each successful referral – 50p once someone registers under you and answers a survey, £1 when they earn £20 and another £2.50 when they reach £40. Viewsbank offer you short surveys on a regular basis, with the chance to participate in higher paying market research. An example of this research is ringing companies for insurance quotes. 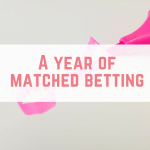 The payout is just £6 via Paypal, paid monthly. Read my previous post about Viewsbank. 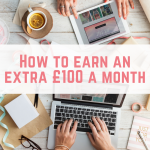 If you are looking for a website with a low payment threshold (just $10) and some extra ways to earn money apart from the surveys then MintVine is for you. 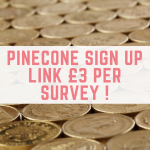 Pinecone is one of the highest paying survey websites out there, payout out £3 for each survey. You can also use your points towards other rewards such as homewares, iPads, magazine subscriptions, Amazon gift cards and much more. Finding a sign up link can be hard, but I've got you covered. Paying out in a variety of methods including Paypal cash and Amazon gift vouchers, Gift Hunter Club is a paid to click site that also offers surveys as a way to earn points. There are plenty of surveys to choose from, and you can also boost your earnings by downloading apps, watching videos and much more. I love Global Test Market! There are so many redemption options to choose from, including Amazon vouchers, Paypal cash, New Look vouchers and many more. You are invited to between 4 – 6 surveys per day, and even if you are screened out you will receive entries into their sweepstakes. They also have an Android and iOS app for completing surveys on the go. See my earlier post about Global Test Market. Prolific is absolutely hands down the best. I have been using it less than a week and have made $8 so far & $5 more awaiting approval. YouGov is definitely interesting too. Although, I haven’t reached the cashout threshold in 6+ months, I still enjoy their surveys actually.